Register Log In Henderson, MN Forums Henderson Community Announcements & Events Henderson Baseball Assoc. - Comedy Show - Feb 2nd. 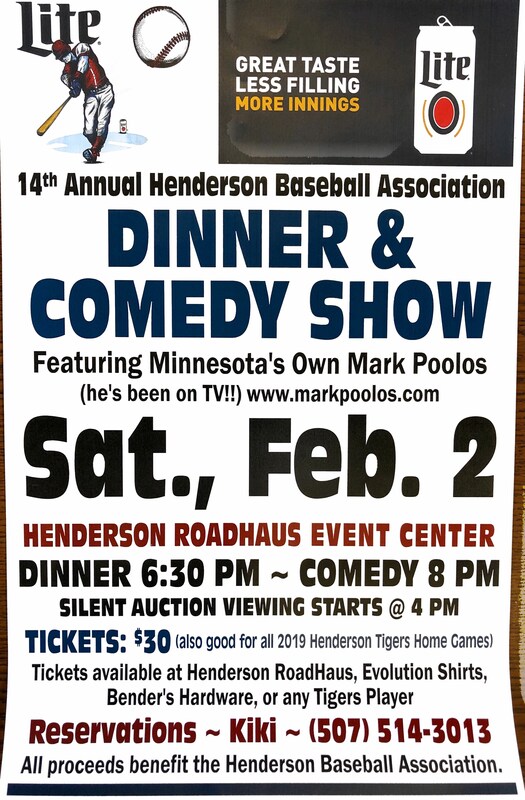 Dinner 6:30 p.m., Comedy 8 p.m.
Silent Auction viewing starts 4 p.m.
Tickets available at Henderson Roadhaus, Wagar's, Evolution Shirts, Bender's True Value, or any Tigers player. All proceeds benefit the Henderson Baseball Association.